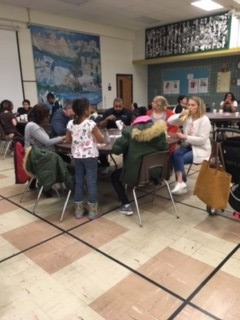 Greenview Upper Elementary School would like to thank the building Parent Teacher Association (PTA) for their time, efforts and energy in organizing a Bingo Night recently, that brought together students, families and teachers for an evening of fun and excitement. The PTA deserves an undeniable level of credit for helping to enhance and connection between the classroom and home front. Special occasions such as these, where fun and interactive evenings are developed and promoted at the school help community members see the school building and friendly and constructive. Such was the case for this evening, where more than a dozen families attended and participated. Thank you to the PTA for organizing the evening and supplying snacks and refreshments. The SEL Schools appreciates these members, and the helpers of all PTA’s throughout the District.